This is a surgery to remove all or part of the stomach. Gastrectomy is most often done to treat stomach cancer . It is currently the only way to cure stomach cancer. The use of chemotherapy and radiation may help improve survival. 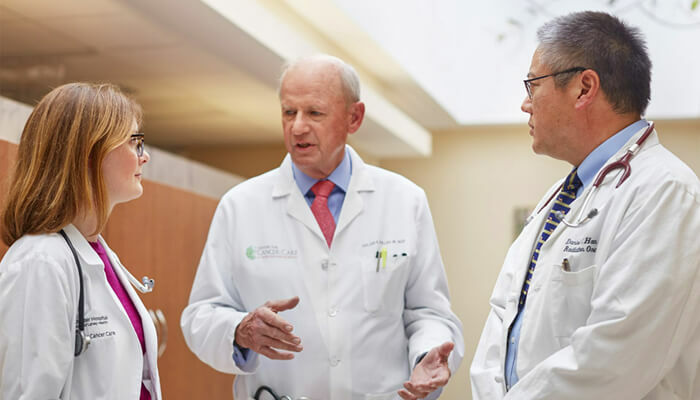 Even if the cancer is too advanced to be cured, gastrectomy can help to prevent bleeding, obstruction, and pain. Arrange to have someone drive you to and from the hospital. Also, arrange for someone to help you at home. An incision will be made in the abdomen. Surgical instruments will be used to remove all or part of the stomach. If only part of the stomach is removed, it is called partial gastrectomy. With this type of surgery, the remaining part of the stomach will be connected to the esophagus and small intestine. If this is done for ulcer disease, the nerves that control acid production may also be cut. 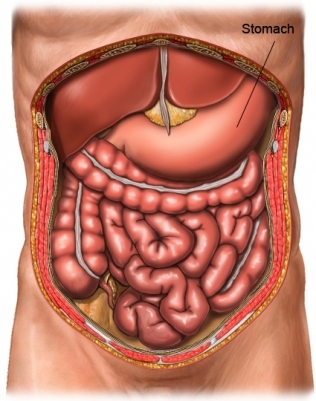 If all of the stomach is removed, it is called total gastrectomy. A new stomach will be made using the intestinal tissue. The end of the esophagus will be attached to the small intestine. If you have stomach cancer, the lymph nodes will be removed and examined as well. This is because cancer can spread through the lymphatic system. After the surgery is complete, the muscles and skin of the abdomen will be closed with stitches or staples. A dressing will be applied. This surgery is done in a hospital setting. The usual length of stay is 6-12 days. 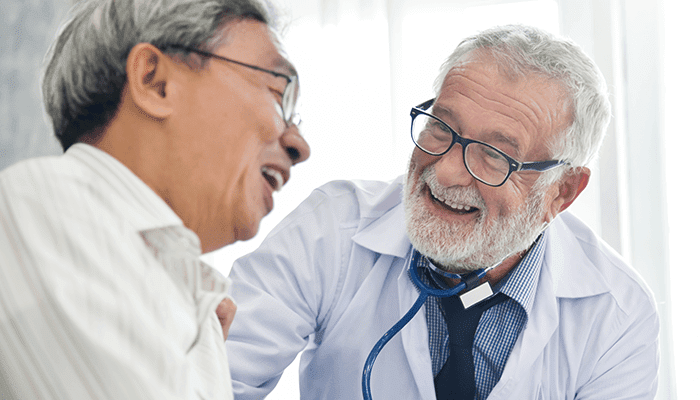 Your doctor may choose to keep you longer if complications arise. During the first few days after surgery, you may be restricted from eating. As your stomach stretches during recovery, you will be able to eat more a little at a time. If you had a total gastrectomy, you will need to eat smaller amounts of foods more often. Gastric carcinoma. EBSCO DynaMed Plus website. Available at: https://www.dynamed.com/topics/dmp~AN~T116155/Gastric-carcinoma . Updated December 12, 2017. Accessed January 10, 2018. Stomach cancer Cancer Research UK website. Available at: http://www.cancerresearchuk.org/about-cancer/stomach-cancer/treatment/surgery. Updated July 6, 2016. Accessed January 10, 2018. Surgery for stomach cancer. American Cancer Society website. Available at: https://www.cancer.org/cancer/stomach-cancer/treating/types-of-surgery.html. Updated December 15, 2017. Accessed January 10, 2018. Treatment option overview. National Cancer Institute website. Available at: https://www.cancer.gov/types/stomach/patient/stomach-treatment-pdq#section/%5F50. Updated April 27, 2017. Accessed January 10, 2018.